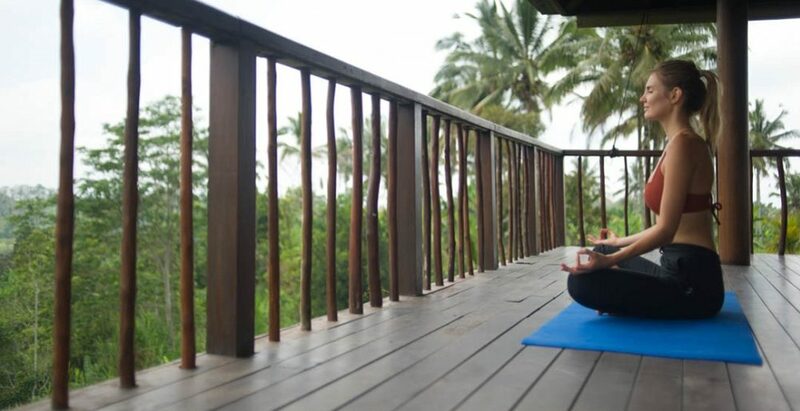 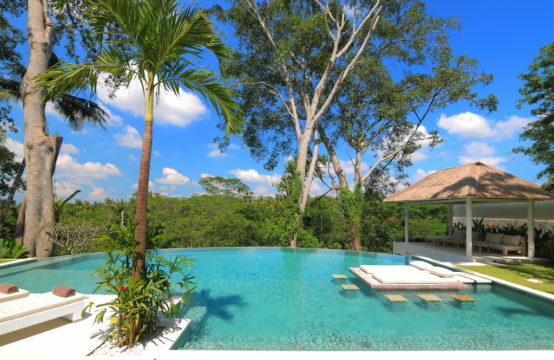 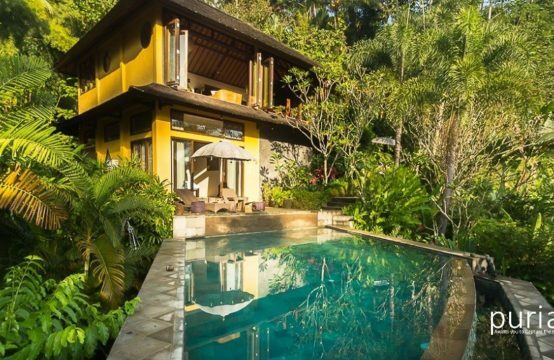 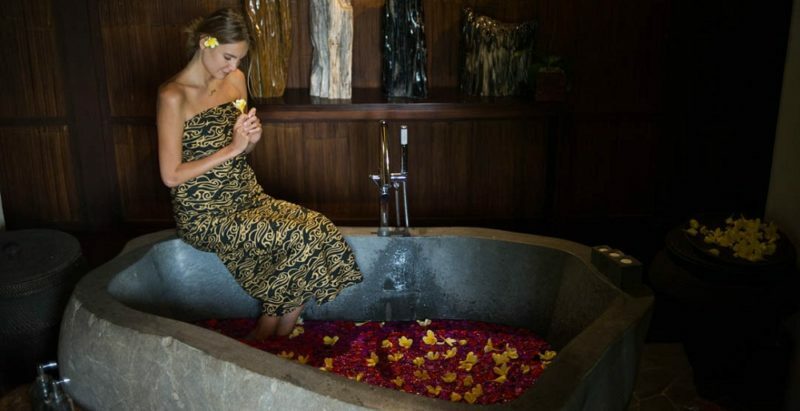 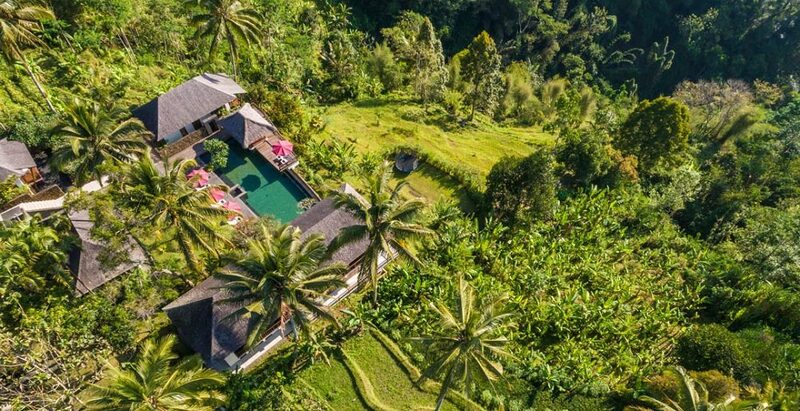 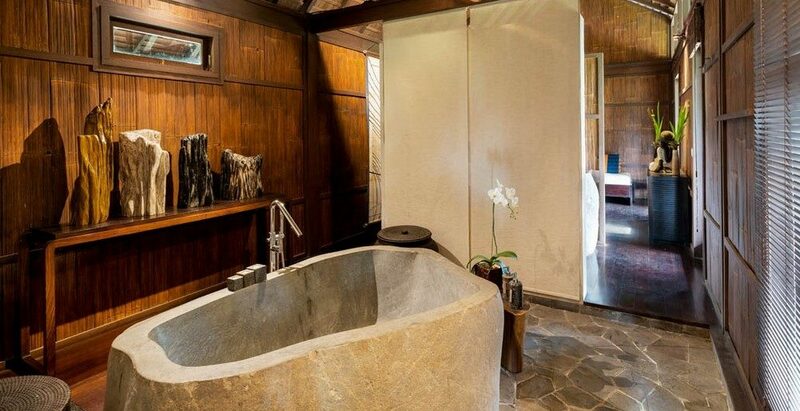 Villa Awan Biru is situated in the north of Ubud at the edge of the volcano slope, this Five bedrooms villa is located on 1.15 ha land slopping from the top of the hill until a dramatic river valley. 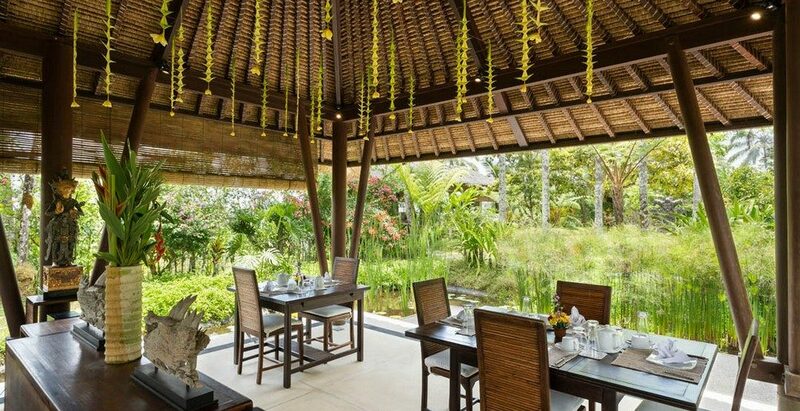 Terrace rice fields, temples, river and even the famous mount Agung are surrounding this place blessed by the gods and the nature. 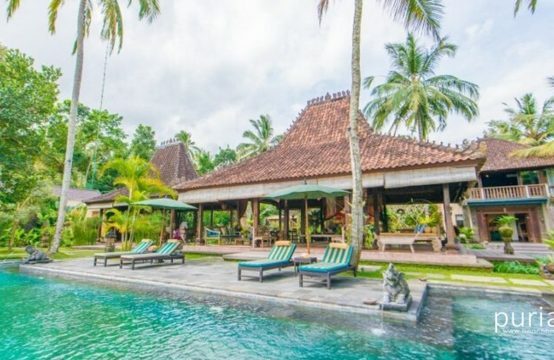 Villa Awan Biru is certainly the most luxurious villa of the area due to its environment, size, architecture, quality of service and interior design. 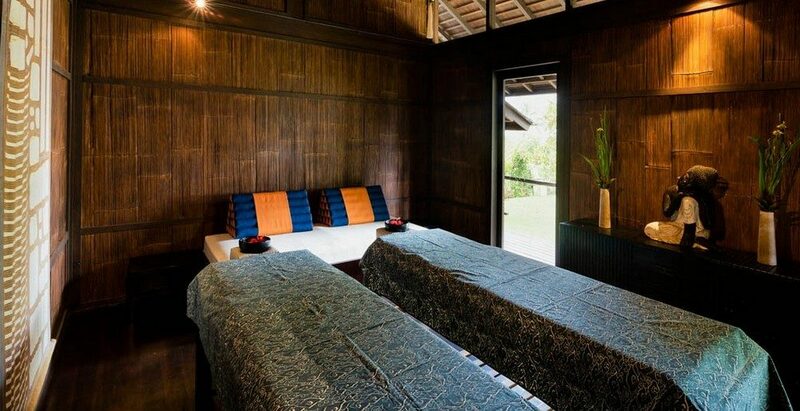 The traditional architectural style is matching with the most modern equipment to give to the guests a unique experience of Bali. 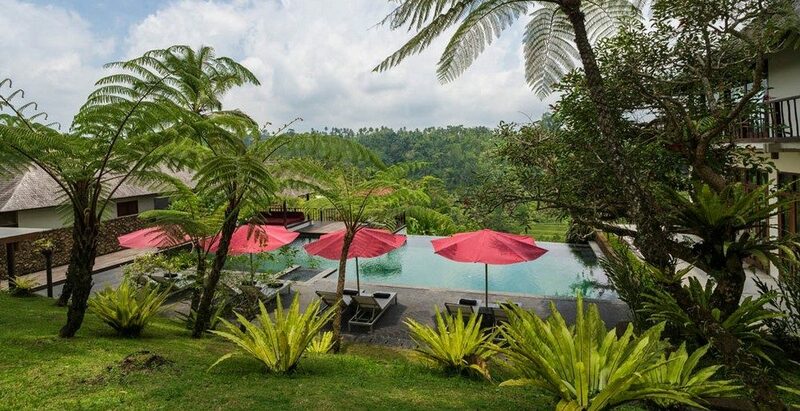 The different buildings composing this 1200 m2 5 bedrooms villa are situated on the top of the hill overlooking the surrounding, a 132 m2 amazing swimming pool and the valley. 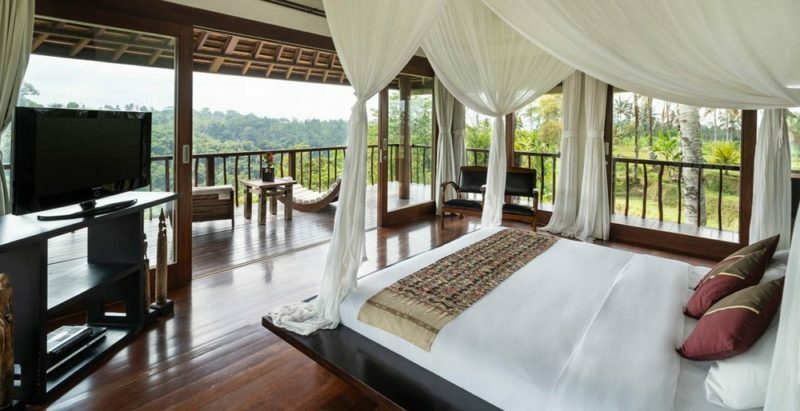 The bedrooms are different and are perfectly decorated with a interior design dedicated for each of them to a specific region of Indonesia such as Sumba, Sumbawa and of course Bali. 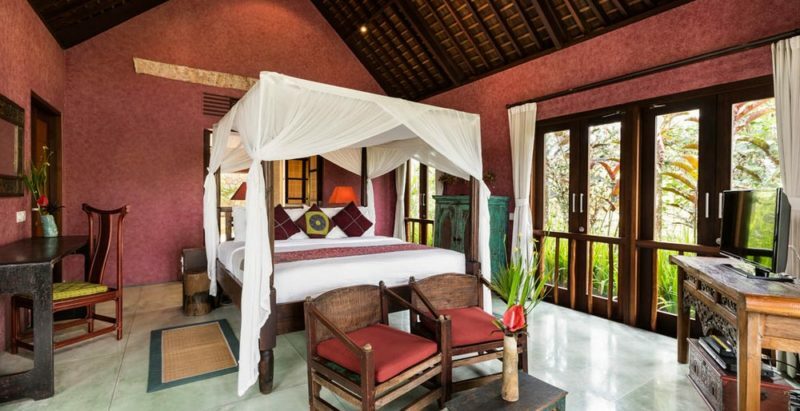 All the bedrooms are fully equipped with air-conditioned, flat screen TV with satellite and DVD, stereo system, wireless internet access and one of them features its one private swimming pool. 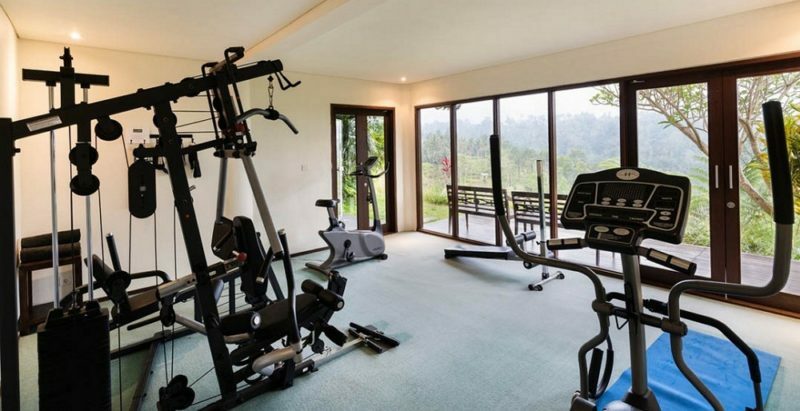 In addition, two living and dining area one open space, the other air conditioned one gym room, one study TV room, and different gazebo to enjoy private massage without forgetting a professional kitchen where the cook will prepare the best international and local dishes. Note that the 2 swimming pools feature a solar heater to guarantee a minimum water temperature of 28 C.
Villa Awan Biru is fully staffed, the villa manager will organize the dedicated staff including one cook, two housekeepers, one maintenance, two gardener and two security guards to provide a high level of services. Other activities are available such as hiking, mountain bike, rafting, sightseeing, petanque. 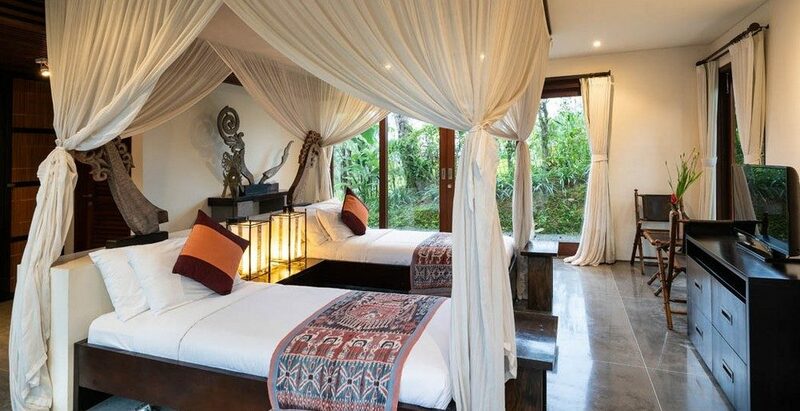 The bedrooms are different and are perfectly decorated with a interior design dedicated for each of them to a specific region of Indonesia such as Sumba, Sumbawa and of course Bali. All the bedrooms are fully equipped with air-conditioned, flat screen TV with satellite and DVD, stereo system, wireless internet access. Each En-suite bedroom has its own private terrace with breathtaking views. 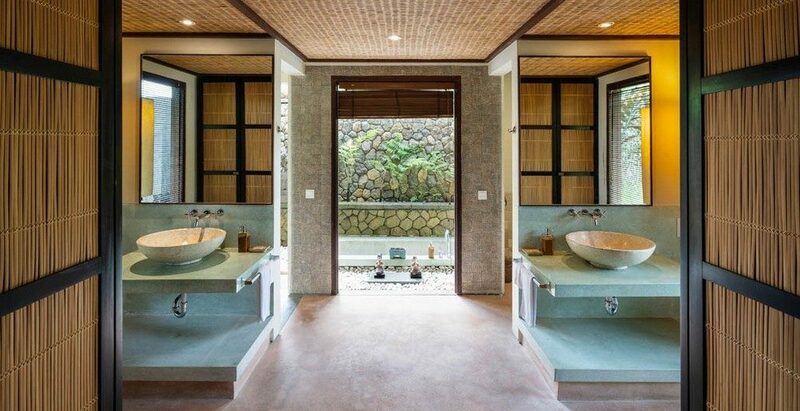 One of the bedroom features its one private swimming pool.